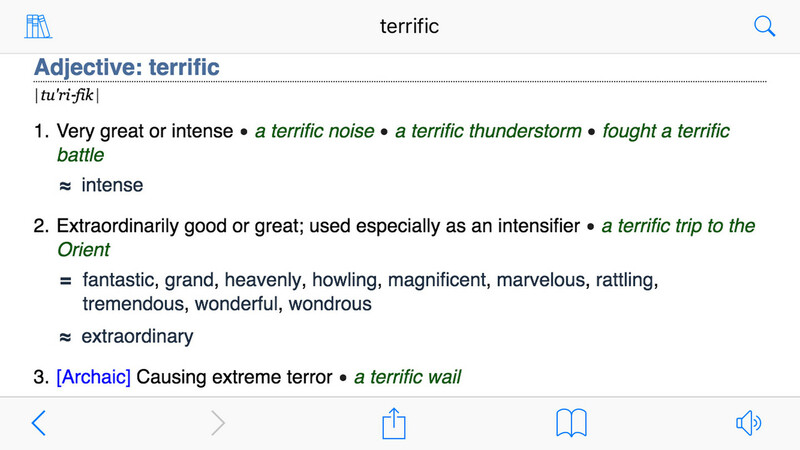 For iPhone and iPad, this English dictionary app gives you definitions, examples, and more. 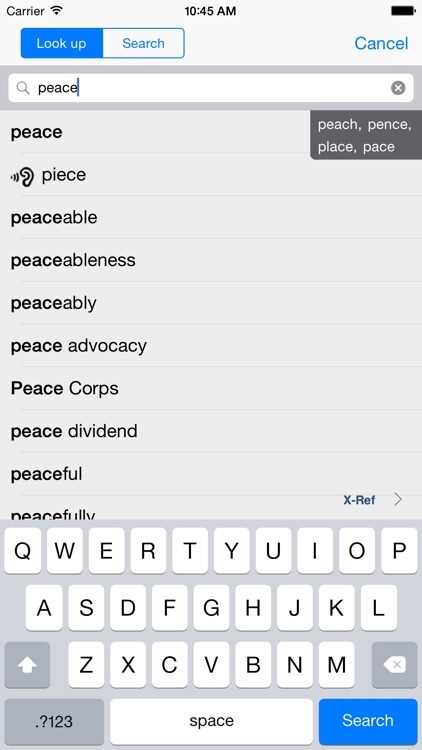 WordWeb Dictionary provides 285,000 words and phrases, 70,000 usage examples, and a smart word search that suggests spellings as you type. 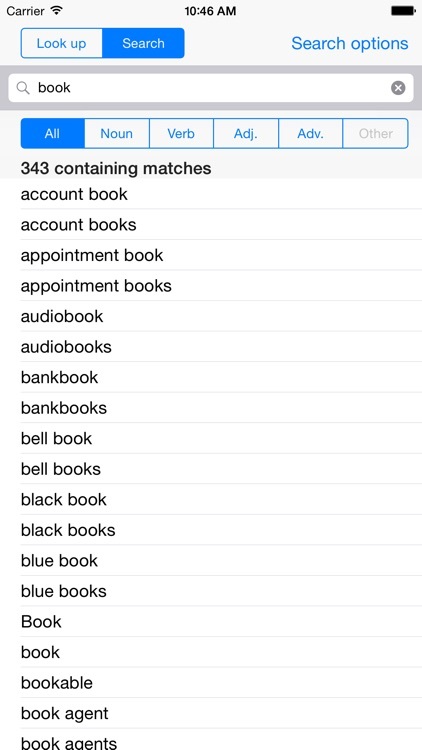 See your recent look-ups, view your word history, and filter your results easily. 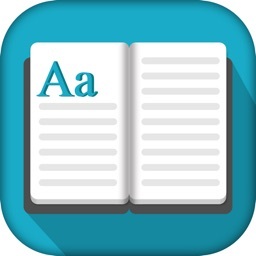 If you are looking for a good dictionary that you can use on both iPhone and iPad, WordWeb Dictionary is a solid option. 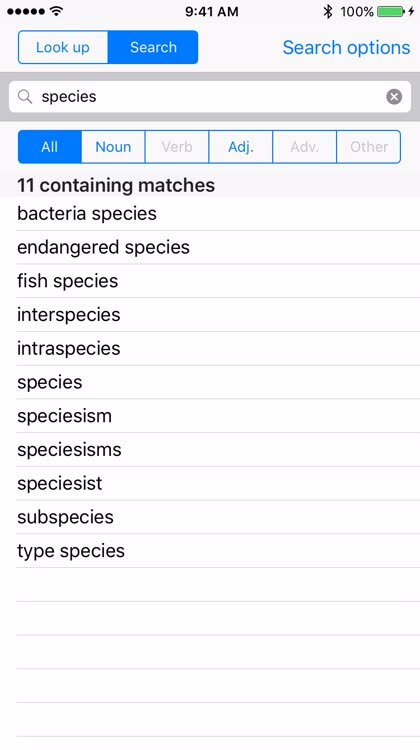 Not only are there tons of definitions and examples, but the app includes a bookmark feature, spelling suggestions, filtering by word type, a history of your viewed words, and several search options. 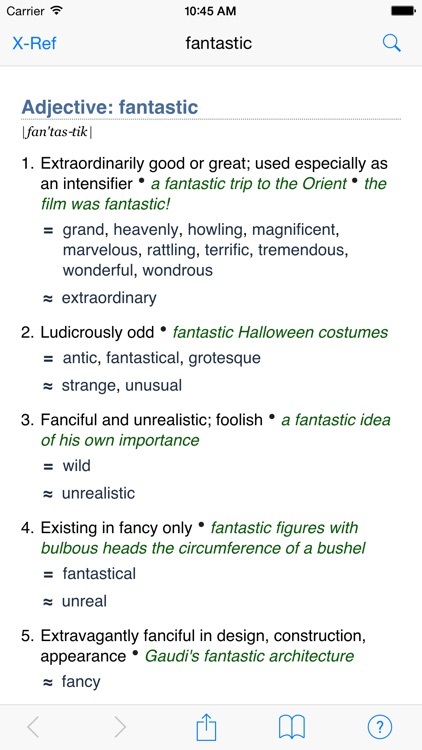 WordWeb Dictionary is an easy-to-use dictionary that covers North American, British, Australian, and international English words and phrases. 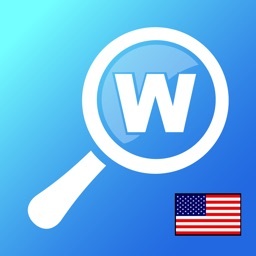 The WordWeb English dictionary and thesaurus: fast searching, spelling suggestions, definitions, usage examples, synonyms, related words - and no adverts. An offline audio version is available separately. 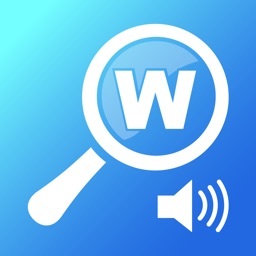 A version with 70,000 professionally recorded audio pronunciations is available as a separate product. 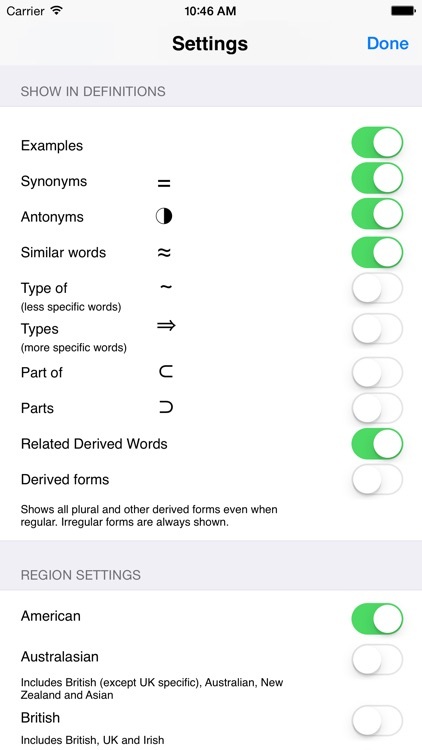 The intelligent word entry suggests possible correct spellings as you type, as well as listing words that sound the same or are often confused. 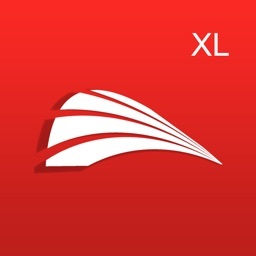 Additional features include the ability to drill down on any word in a definition, full bookmark support and history. 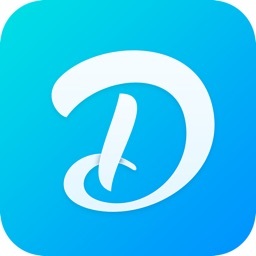 Is it better than dictionary.com? Judge for yourself! No Internet connection is required to use WordWeb, and it's free. 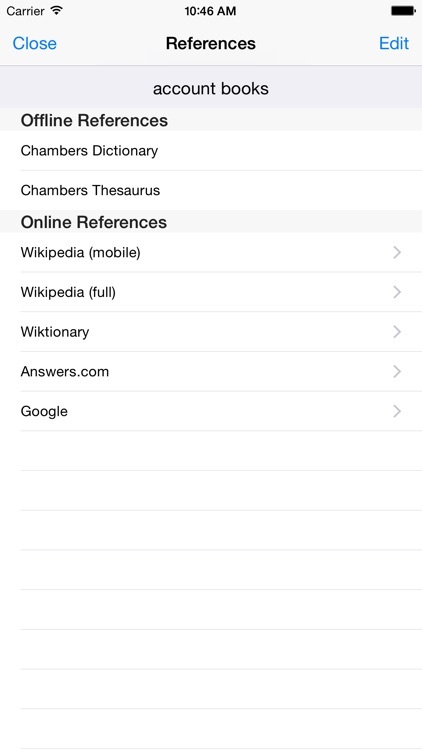 Chambers dictionary and thesaurus are also available, and you can cross-reference to both Chambers and old Oxford dictionary apps from WordWeb.